How to return a string from a text file with condition met?
' Open the file using a stream reader.
' Read the stream to a string and write the string to the console. Im try to return some string from a text file, so I use StreamReader to read the file and store them into a list. 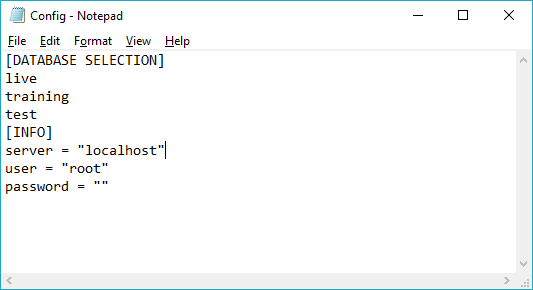 Now I try to declare a variable to get "localhost" from list of string, but the code below is not work for me. Enumerable.Where does not return a single string but possibly multiple, using ToString gives you not the first matching line but just the name of the type which is System.Linq.Enumerable+WhereArrayIterator1[System.String]. Email codedump link for How to return a string from a text file with condition met?